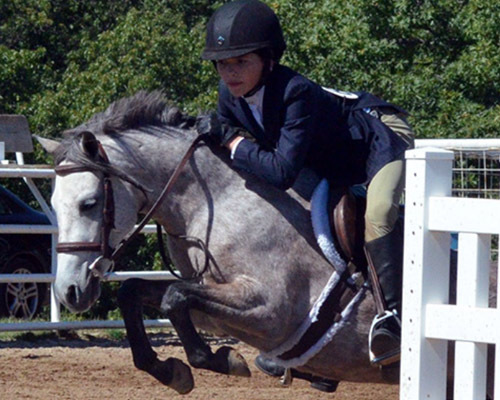 The athleticism, beauty, and train ability of the Caspian make it a great sport horse for children. See our website to view Azad Caspian breeding stock and young stock, including horses for sale. The tractability, small size, and hardiness of the rare-breed Caspian makes it a great horse for first-time breeders. Our stallions are very well-mannered and easy to handle. Let us help you get started with your breeding operation. Scheduled visitors are welcome to see these beautiful, personable horses first-hand. Please call or e-mail to arrange a visit. Maefield Farm is Located 40 minutes west of St. Louis, Missouri. Horses and ponies at Maefield Farm receive generous turnout with continuous access to stalls having outdoor runs. All horses receive individual attention every day, whether they are broodmares, foals, or youngsters in training. Their diet consists of pasture and hay with a ration balancer fed twice a day. Fresh water is supplied by automatic waterers. Feet are trimmed on a five week rotation. Foals receive lots of handling with regular foot care, grooming and baths beginning before they are weaned. Yearlings continue with regular working in hand, trailer loading, and desensitization to clippers and other scarey objects. As 2-year-olds, ponies and horses are introduced to working under saddle with individualized training that repects each horse’s needs and abilities. The varied flora and fauna of our Ozark-border farm exposes our young horses to a great variety of conditions and new experiences. The terrain ranges from fairly flat open pasture areas to wooded hillsides. 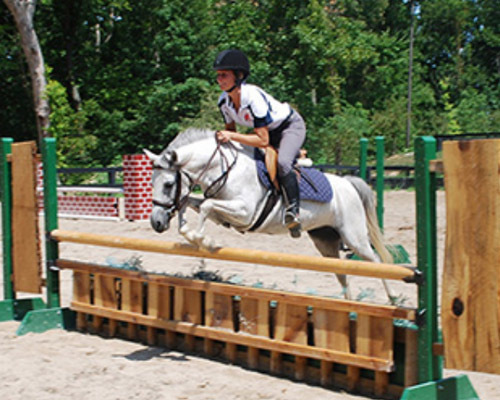 The horses explore every inch of their territory and become confident and sure footed. Foals are handled daily from birth, and most accompany their dams to breed inspections where the foals are evaluated and branded. Youngsters receive ground-training as yearlings then are started under saddle as 2-year-olds. They take a break from training during the winter and resume their lessons at 3-years-old. Training at Maefield Farm utilizes both a 60’ diameter round pen and 110’ x 200’ outdoor arena for groundwork, free-jumping, work under saddle. Trainer Nick Ivanovitch of Circle N Ranch uses gradual starting methods that produce calm, willing horses ready to embark on successful careers. Small ponies receive ground training at Maefield Farm then continue their training at local show barns with talented young riders who put on show miles.